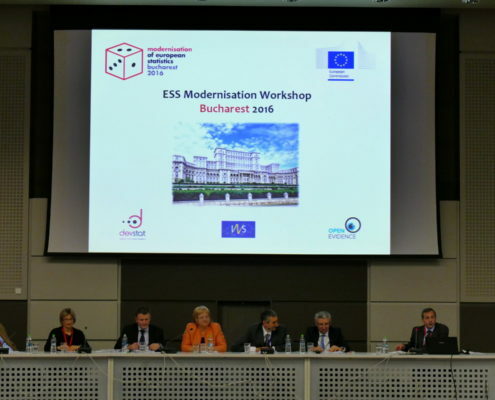 The ESS European Statistics Modernisation Workshop, organised by Eurostat with the support of DevStat for the EU national statistical institutes, took place in Bucharest at the National Statistical Institute of Romania on 16-17 March 2016. 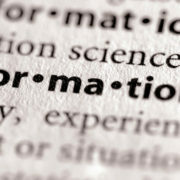 The workshop was open to all colleagues participating actively in EU and national statistics modernisation projects and staff with responsibilities in methodological activities and implementation of change processes in the National Statistical Offices. 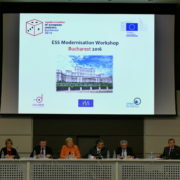 During the Workshop different themes were discussed: sustainability of modernisation processes, use of Big Data for European statistics, Validation and Integration of different statistical sources, National Modernisation Programmes, dissemination and user relationship. The Workshop was a complete success: Bucharest received more than 98 participants from 31 different countries and more than 34 presentations took place. DevStat is are now preparing our next Event: 2016 Visualisation Workshop – Valencia 17, 18 May 2016. This workshop aims at increasing awareness of the issue of visualising statistics, identifying emerging best practices to identify synergies and options for joint development efforts; sharing best practices, new ideas, tools, and experiences. 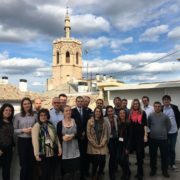 Within the framework of Eurostat’s European Statistical Training Programme (ESTP), DevStat in corsotium with the Lithuanian Department of Statistics and the National Statistical Institute of Bulgaria held a three day course on “Behavioural Economics” in Valencia on 2, 3 and 4 of March 2016. The course was taught by Dr José Vila (course leader) and Mr Carlo Capuano and it was attended by eight participants from several National Statistical Institutes within the European Statistical System (ESS) and from Eurostat. The objective of the course was to provide the participants with the basic knowledge on behavioural economics (BE); the understanding of the role of behavioural insights in European policy-making and the ESS; and the skills to apply BE good practices to enhance data collection and dissemination in their NSI or other institutions. The content of the course covered the following topics: from conventional economics to BE; behavioural individual decision-making (decision under uncertainty: propect and rank dependent utility theories; decision along time); behavioural social decision-making (behavioural game theory, strategy versus cooperation); BE for policy-making (the European approach; behavioural markets; and ethical considerations); and applications of BE in an NSI (BE-based good practices to enhance data collection and data dissemination). The course included also a visit to the experimental lab (LINEEX). Within the framework of Eurostat’s European Statistical Training Programme (ESTP), DevStat in consortium with the Lithuanian Department of Statistics and the National Statistical Institute of Bulgaria held a three day course on “Time Series Econometrics” in Valencia on 24, 25 and 26 February 2016. The course was taught by Mr Fabio Bacchini (course leader) and Mr Riccardo Lucchetti and it was attended by sixteen participants from several National Statistical Institutes and ONAs (Other National Authorities) within the European Statistical System (ESS). The objective of the course was to present an overview of modern time series econometrics both for univariant and multivariate time series. Multivariate time series: VAR, cointegration and VECM.